Now I am sure that many of you have heard of the numerous TV shows all about "Squatching", or in layman's terms, the act of pursuing a real live Sasquatch. Like most of you this concept has intrigued me. One particular episode I have focused on was of Monster Quest, Sierra Nevada Sasquatch. The purpose of this episode was to prove or disprove the Sasquatch accounts people have recorded varying from first person accounts to video "proof" of this monstrous beast. 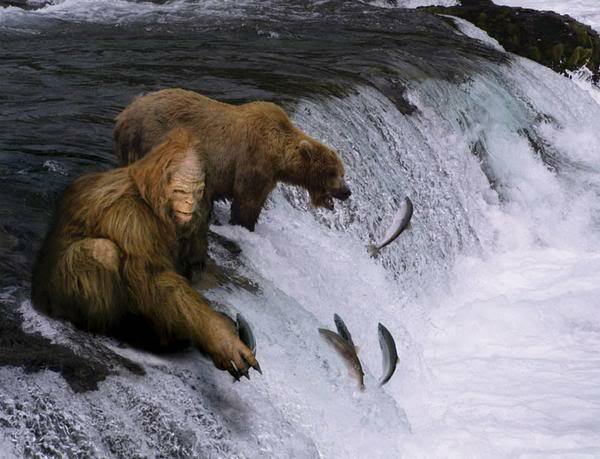 The information obtained was that of a video encounter with this Sasquatch, a person who witnessed a family of Sasquatch while hunting, and numerous foot molds that resembled human feet (however were said to be from a family Sasquatch) over a number of years. There were then experts put to the test to get some solid evidence and the results were in. The figure in the video was said to be between 6-8 feet tall, very vague in my opinion. 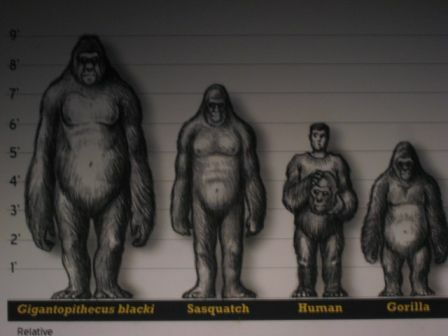 Then the molds were analyzed by comparing them to molds of what an accepted Sasquatch print would be and they were determined to be juvenile, which may be the reason they looked so human like. Finally they had the guy who saw the Squatch family return to the scene at 1am and while he heard some noises, nothing was seen. I do not feel that anything truly negative can become of these Squatch Hunts, it is just a bunch of people roaming in the woods. The only downfall could be if one of the team members gets maimed by an actual predator living in the woods. The fact that I am not a believer in Sasquatches may have tainted my view on this article, however don't let my bias towards the facts skew any view you may have on this tremendous beast. Squatch On my friends. When we take into consideration that the majority of the land masses around the world have been explored and the creatures whom inhabit them have been documented, this notion of a mysterious, secretive and isolated monster not being captured or killed already makes me think it's simply a myth. Some concrete evidence should have come forth by now, other than poor quality video footage. That alone, is my reason for not believing. Just like many pseudoscience topics, they can't be proved wrong or right so hey.. maybe there is a squatch in the woods, somewhere.